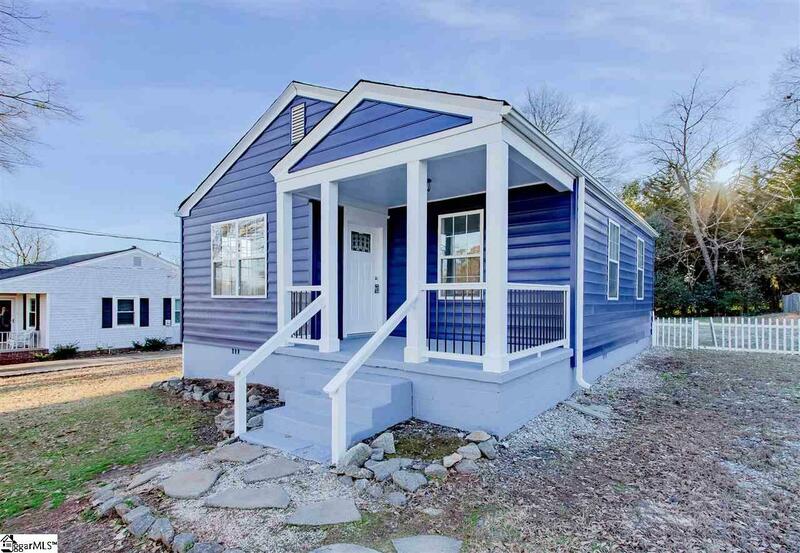 Don't miss out on this freshly renovated 2 Bedroom 1 Bathroom Home conveniently located to Downtown Greenville, East North Street, and easy access to I-385! Freshly painted walls throughout! Beautiful original hardwood flooring in the living room and bedrooms, tile flooring in kitchen, dining/laundry, and bathroom. The kitchen is completely renovated with custom soft-close cabinets, granite countertops, and subway tile backsplash. The laundry area is spacious and can double as an additional dining area as well. The shared bathroom has new flooring, light fixtures, and cabinetry. Bedrooms are spacious and come with ample closet space. Large backyard with lots of room to expand in the future! This home won't last long and is a MUST see! Seller is a licensed Realtor. Listing agent is related to the seller. Listing provided courtesy of Sarah Sheehan of Alpha Property Llc.